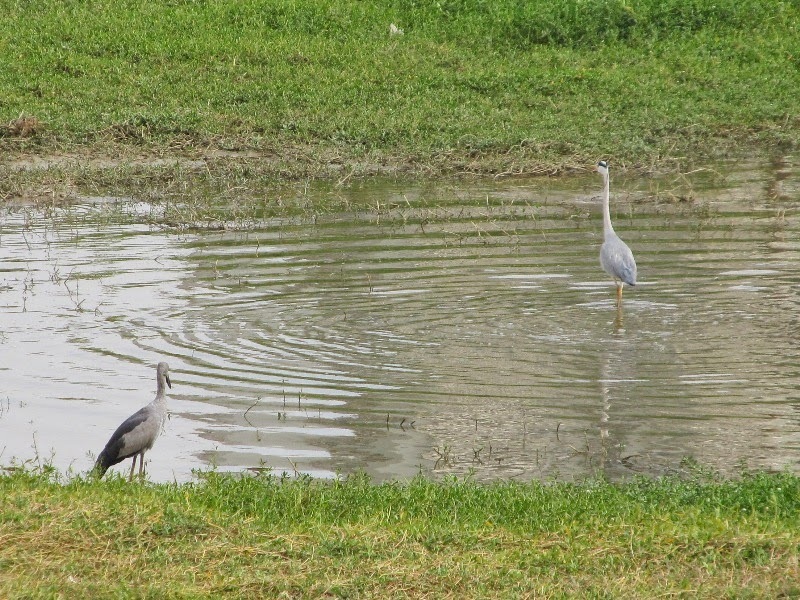 We are delighted to see avian visitors returning to the lake after a year! 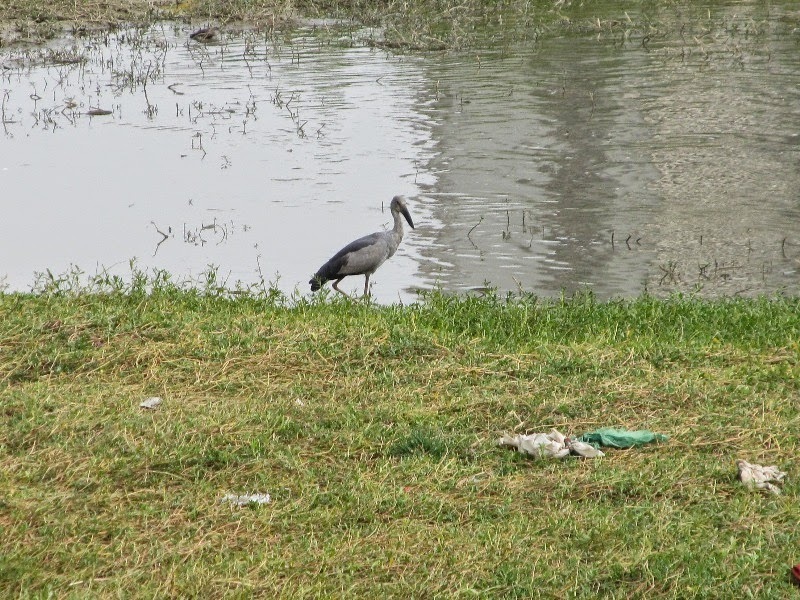 Yesterday, heedless of the hot afternoon sun, we spotted a Painted Stork, Asian Openbill Stork and a Grey Heron together with a resident Egret, foraging for food. They were so close to each other that all four can be seen in one frame. 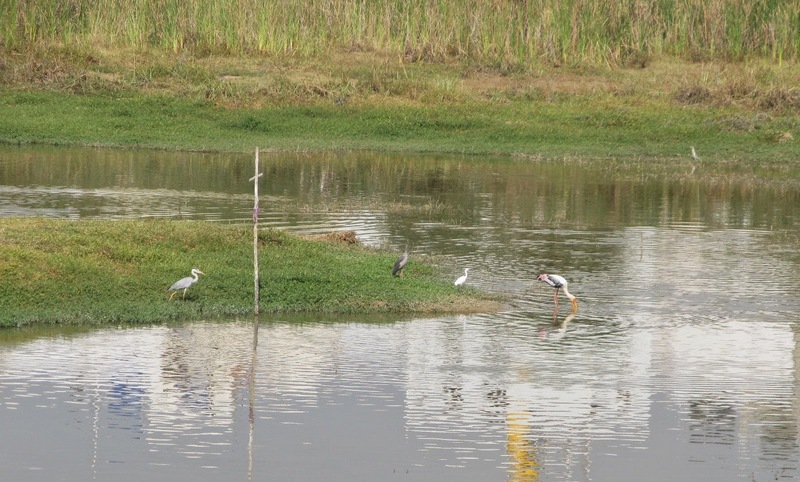 Our other resident heron, the Purple Heron, kept close to the bulrushes near the wetland. We realized later that it was keeping an eye on its young one lurking in the bulrushes. 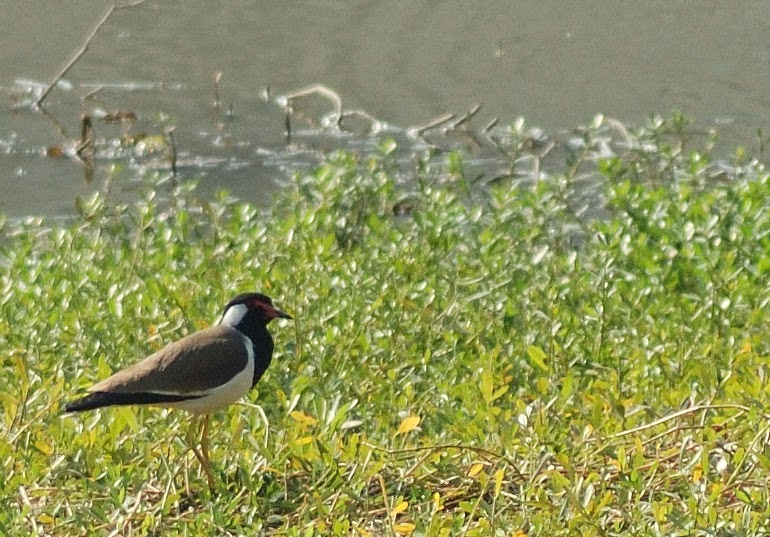 We will photograph the juvenile when it decides that the outside world is not such a bad place! Our PNLIT is registered as an NGO beneficiary at the Vodafone Cycling Marathon. Our page can be seen here. Calling all you cycling enthusiasts to register for the marathon and support our cause. The marathon is on 1st March. Registrations will close soon. Please register today! Pick the ride that suits you - from 60 kms for professionals to fashion ride of 5 kms. There's even a kids' ride of 2 kms!! More rides and registration details on the website here. Godspeed to your cycling legs!! 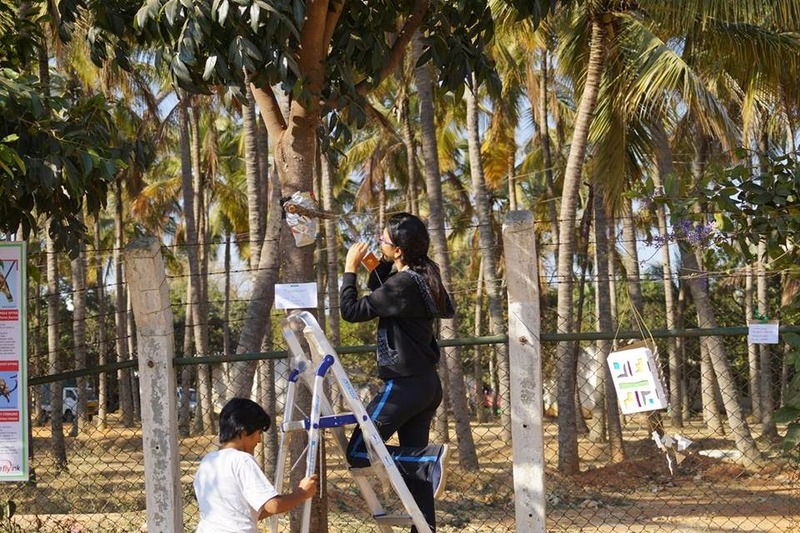 The morning of the Kere Habba on 21st Feb. saw over 30 volunteers coming as early as 7 a.m. and setting to work stringing festoons between trees, paper lanterns, sticking event posters, and more. 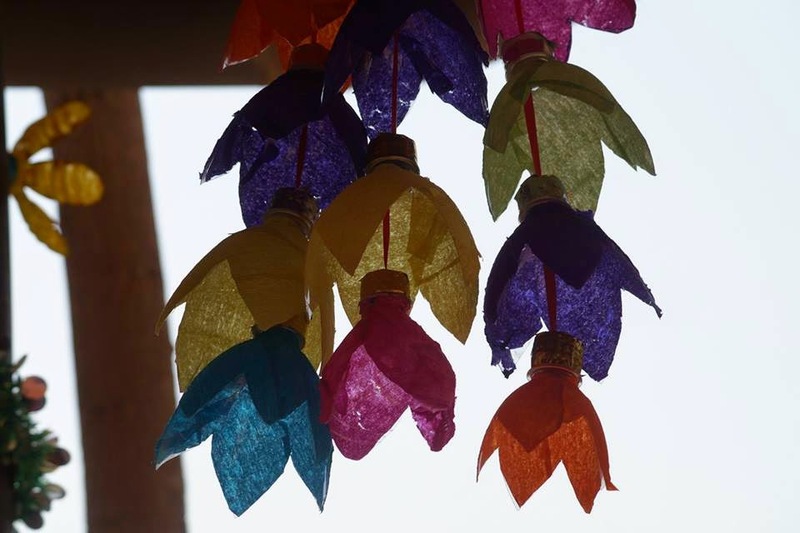 Almost ALL the decorative items were "home made" by children and adults. 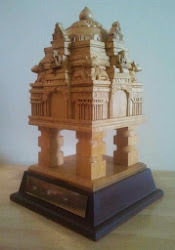 Snehadhara Foundation did likewise with sketches and artefacts painstakingly done by their children. Many hands made for quick work and it was all done in a couple of hours. It was time for a sumptuous breakfast made and served fondly by Krishna, South City and Pavithra from Brigade Millennium. 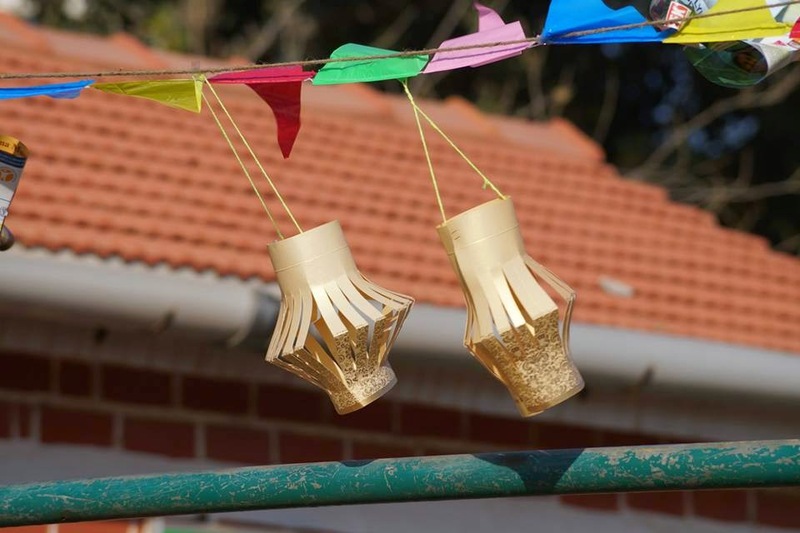 By the time the first of the visitors arrived, the shamiana was up adding to the festive atmosphere. "Lake Alive" being an event of, for and by the people we didn't have to wait for a VIP Chief Guest. Mrs. Leela Nagarajan, the craft guru of the day, lit a lamp and the sessions began, not just in the Gazebo but also at the Viewing Deck and along the coconut grove. 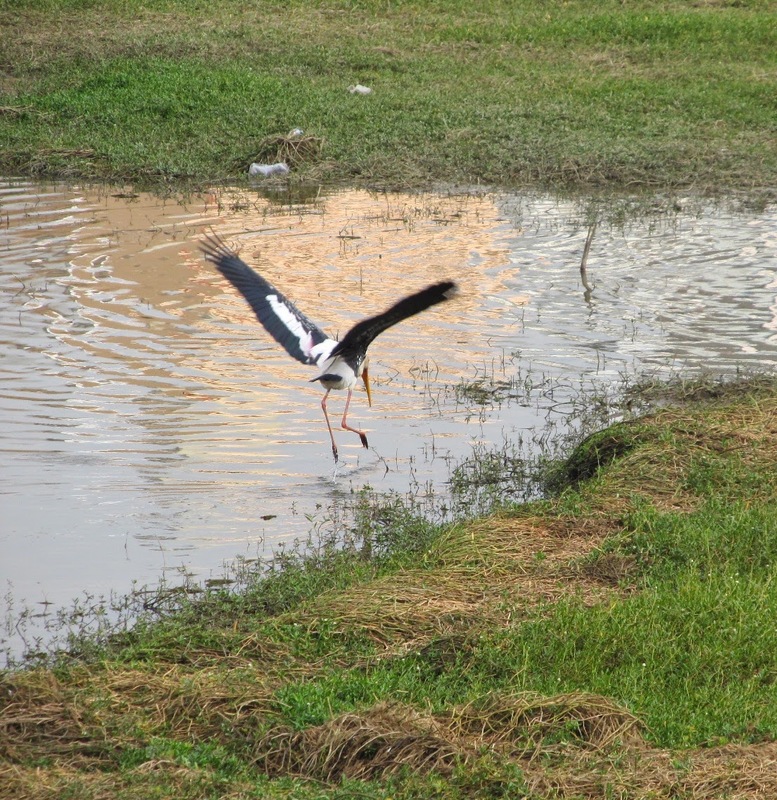 The birds in the lake were not in the least fazed by the drumming, the children running or shouting. 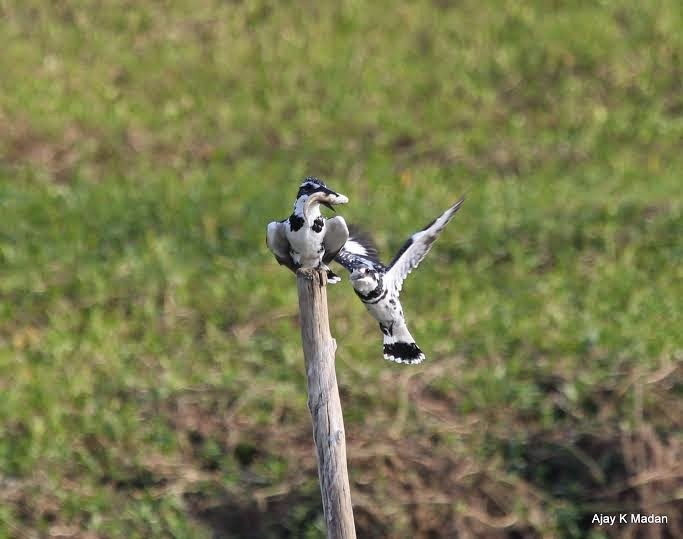 They continued to fly and fish, to the delight of the bird watchers and photographers. 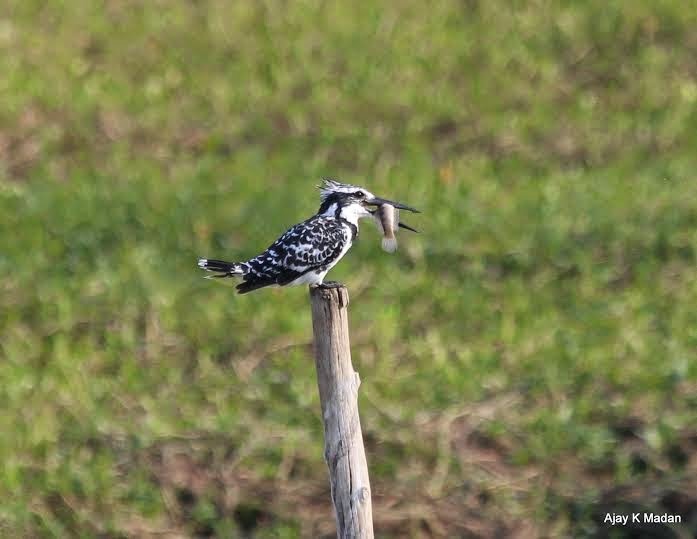 The stars of them all were a pair of Pied Kingfishers which hovered in the air and dived and fought with each other for the catch! Equally oblivious of everything was another star, cartoonist Ananth Shankar who sketched, sketched and sketched even as dusk fell! 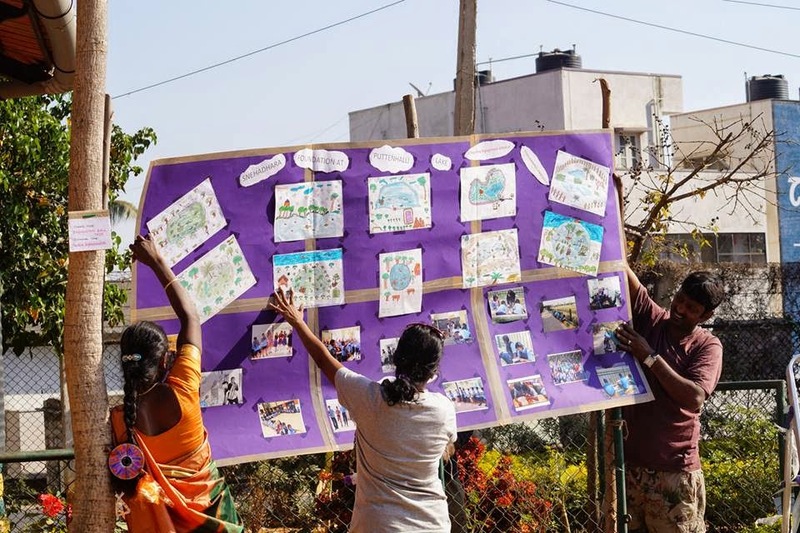 Photos above, courtesy Snehadhara Foundation, Deepa Mohan, Ajay Madan. 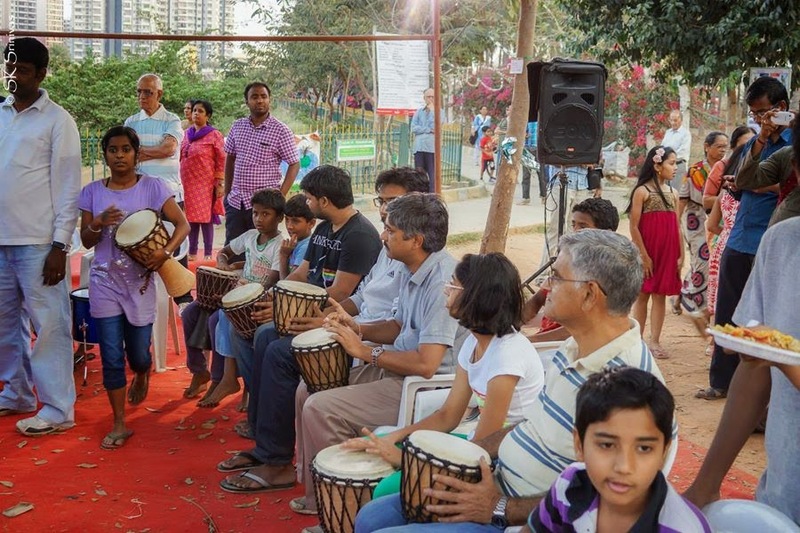 Our guesstimate of the number of people who visited the Habba is about 700. The best laid plans often go awry in its execution but thanks to our volunteers, we had an event that went off smoothly. They were more than 60 and it would make a very long list indeed but our heartfelt thanks to each of them. 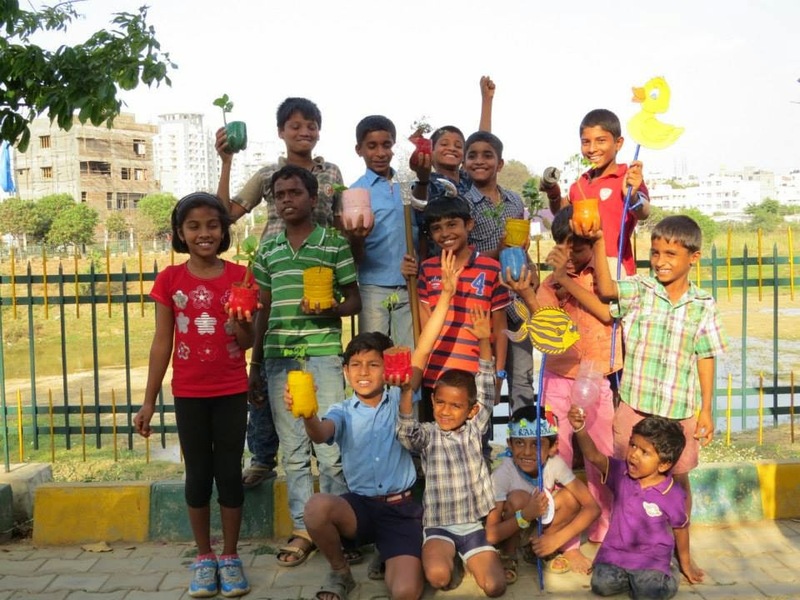 Sincere thanks also to India Water Portal for partnering Lake Alive with PNLIT. 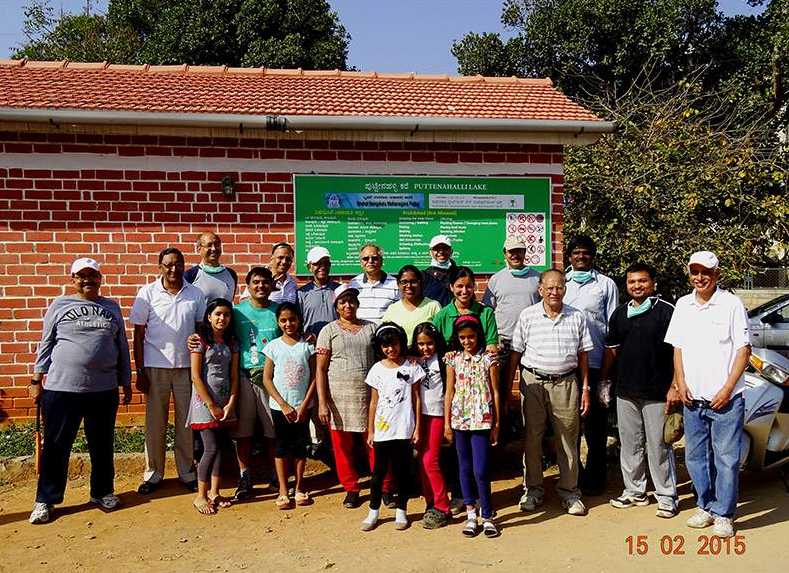 The Kere Habba is an initiative of the Namma Bengaluru Foundation. 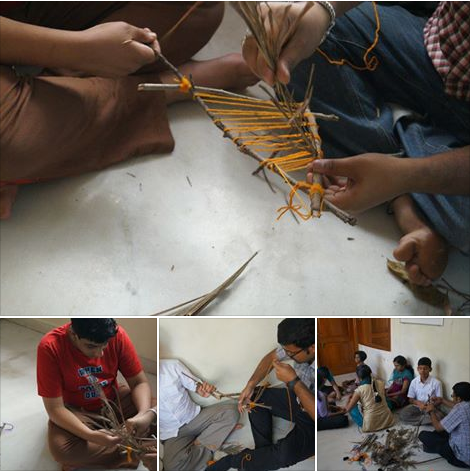 A glimpse of Snehadhara Foundation's work in progress - getting ready for its role at Puttenahalli Kere Habba. Children, if allowed, would love to squish in soil! Let them do just this at the Puttenahalli Kere Habba. They will learn the basics of gardening in "Pot a Plant." The seedling they plant will be theirs to keep. To nurture, water and see it grow. No charge. 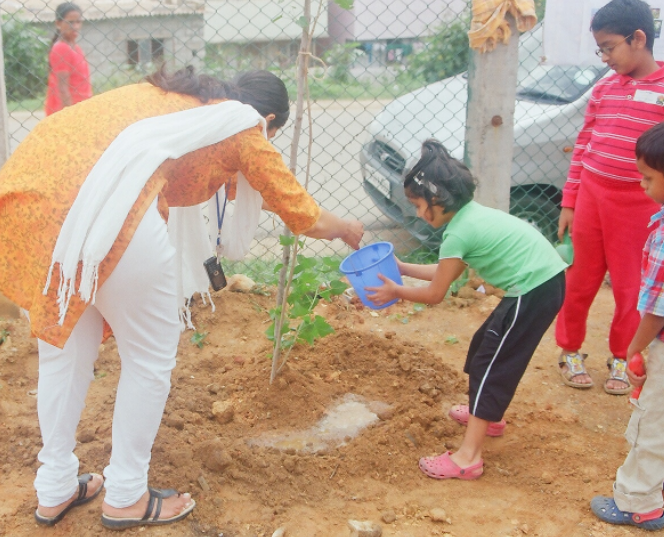 (Pic: taken on 17th July 2010 at the first tree planting day at Puttenahalli Lake). 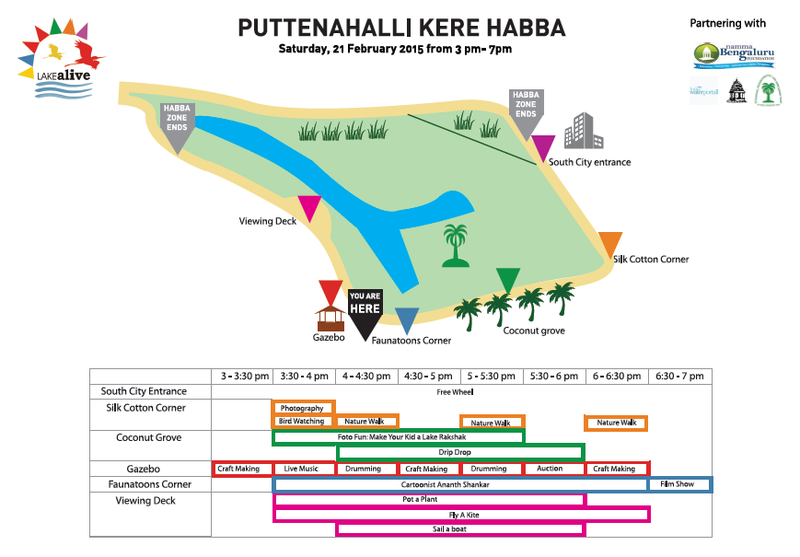 Other no-charge events at the Habba include Free Wheel, Fly a Kite, Sail a Boat, Craft Making, Drip Drop - help install an irrigation system, Film Show, Live Music. Some events may be more appropriate for certain age groups. Food will be on sale - yummy varieties of chat, gulab jamuns, kulfis, juice, peanuts and more! 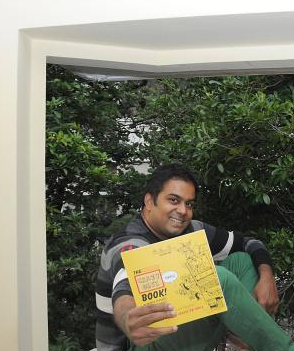 See cartoonist Ananth Shankar in action, and get a chance to buy a personalised illustration at a special rate. 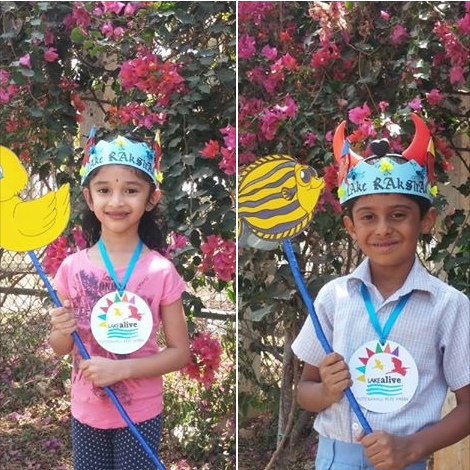 Make your child a Lake Rakshak. 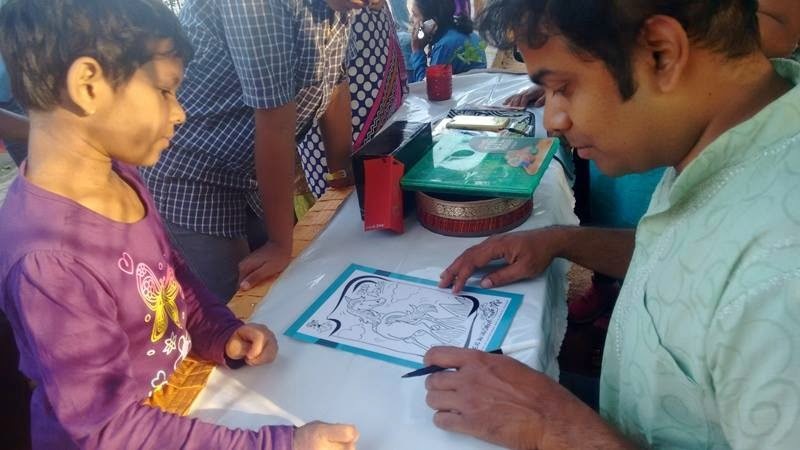 Charge inclusive of photo in an exquisite limited edition "Lake Alive" photo frame specially created for Puttenahalli Lake by cartoonist Ananth Shankar. Brighten up your home or office with a painting for a cause! AUCTION AT KERE HABBA. 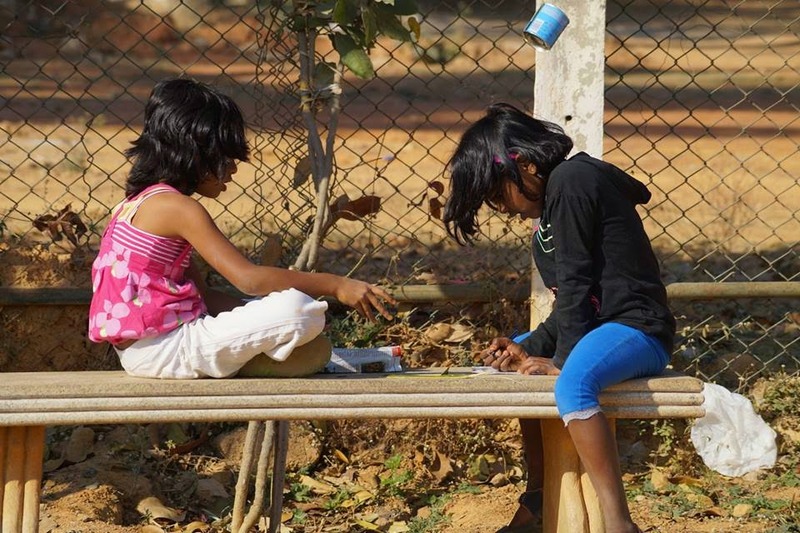 Two talented amateur artists from our locality, Shrishti and Shana, have donated a few of their pieces to be auctioned at the Puttenahalli Kere Habba 2015. 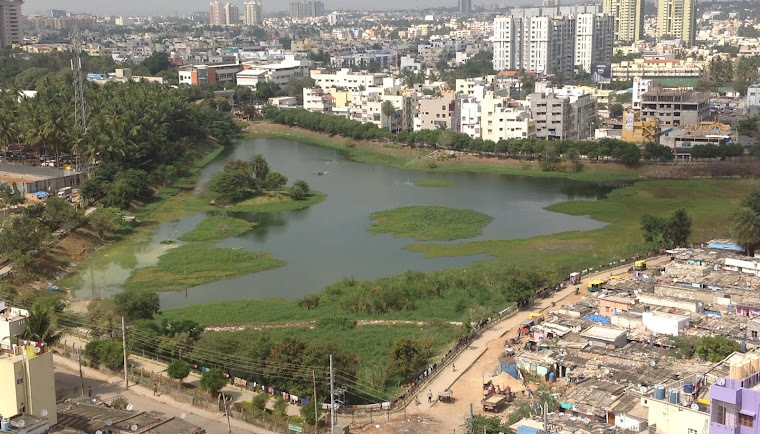 The amount raised will go towards PNLIT's efforts at maintaining the lake, and other neighbourhood activities. The money will be most welcome since PNLIT is dependent on donations from individual well wishers. NINE art pieces can be yours to keep. Make your best offer on the spot and help the lake. Now that you know what you're going to miss, be there! 3 p.m. onwards. More details here.